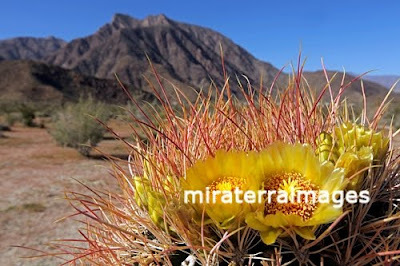 It's that time of year again, when the desert wakes up from winter and ushers in spring with wildflower blooms and cactus blossoms. 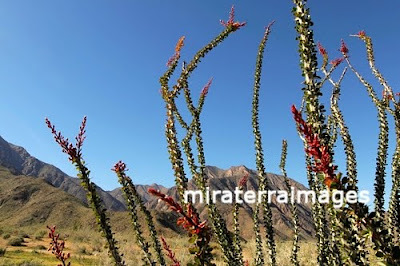 Armed with our cameras and some water bottles, my family and I made a day trip out to Anza-Borrego State Park to explore under a clear blue sky. As we drove east along the Del Dios Highway, we passed the north shore of the Lake Hodges Resevoir, which appeared rather healthy after the recent rains. But Lake Hodges was making headlines this week for another reason, and it was anything but healthy. We passed quietly, and my husband and I avoided any comment which might give our almost-8-year-old daughter reason to see and experience anything but beauty and joy as she peered out at the water and surrounding green hills exclaiming "it's so pretty!" We continued our journey along SR 78 and made a mandatory stop in Santa Ysabel at the Julian Pie Company, an absolute must for the country's best apple pie...and, in our opinion, the very best "frosted cinnamon buns" on the planet. 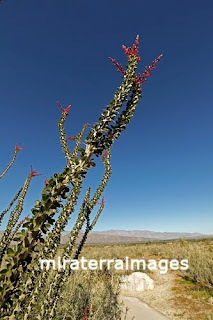 Eventually we reached our destination, and hiked and clicked and clicked and hiked and filled our cameras with cactus and wildflower bouquets from the desert. The drive back home was aided by the google maps app on my iphone. We would do a nice loop northward and return via Highway 76. We passed near or through Indian Reservations of La Jolla, Rincon, Pauma, and....Pala. Pala, now why was that sounding so familiar? Indeed, it too had made the headlines this week. "Isn't this where - " my husband began, "yes" I replied, and checked the backseat to see my daughter fast asleep. I counted my blessings, and decided then and there that all the desert scenes and flowers collected in all our cameras would be for Amber and Chelsea. 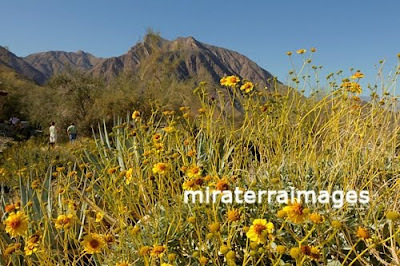 For every image licensed or print purchased from the "Anza-Borrego Desert" or "Sunflowers" galleries at Mira Terra Images, a portion of the proceeds will be donated to the National Center for Missing and Exploited Children. Finally, before you link away, please be aware that a search continues for 16-year-old Mickey Guidry, who went missing from Anza-Borrego State Park last November. Thank you for your time in reading this article. Journeys don't always end the way we might expect. Be aware. 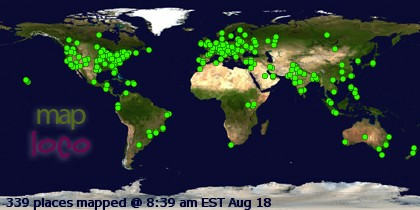 Be alert. Be grateful for each day. And don't think for a moment that you can't make a difference. The first photo is my favorite. An awesome juxtaposition of colors -- blue, red, green, yellow -- and textures. I can imagine how the flower, plant and tree would feel, just by looking at the photo. 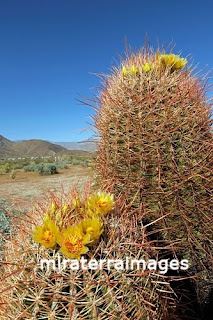 Oh, how I've been looking forward to this year's desert wildflowers. Thank you for this post - I think I'll go out looking for flowers this weekend. Happy Friday.